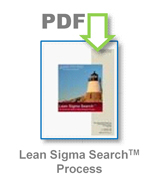 Search Solution Validation The Improve phase of our Lean Sigma Search™ value stream process is focused on driving the search to a successful conclusion. This phase begins with client-candidate interviews. We typically assist in the logistics of scheduling interviews, meeting times and other details, so that all interviews proceed smoothly for both the client and final candidates. Following the interview we debrief the candidate and the client, providing feedback if necessary to each party. We also take the time to assess our own process performance, ensuring that the presented candidates meet the client’s CTQs. Search Validation Conclusion When the final candidate is identified, and both the client and candidate express strong interest in moving forward, we complete final references checks to further validate the candidate’s leadership abilities, integrity, technical competence, achievements and personal characteristics. This process can either be done prior to, or after the final interview process depending on client preference. Failure Mode Detection and Prevention Detection and prevention of potential failure modes prior to this point in the process is critical to the successful conclusion of the search process. 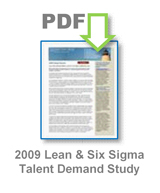 Our Lean Sigma Search™ value stream process is designed to continually test, at every phase, candidate commitment to the search process. We probe, in detail, with questions about relocation preferences, salary expectations and spousal buy-in, to understand the candidate’s CTQ requirements. We also take great care to coach candidates on how to handle the inevitable counter-offer scenarios that follow a resignation. Search Solution Implementation We recommend that we serve as the liaison between client and candidate during the offer and negotiation process. By serving as an intermediary, we can often work out details that have a significant bearing on the final acceptance or rejection of the offer. We provide both a contingent and retained search focus with functional expertise in the areas of Six Sigma, Lean, operational excellence, plant management, operations management, supply chain management, distribution management and finance. 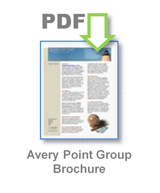 Our practice services a wide spectrum of industries, spanning manufacturing, distribution and service-based companies.